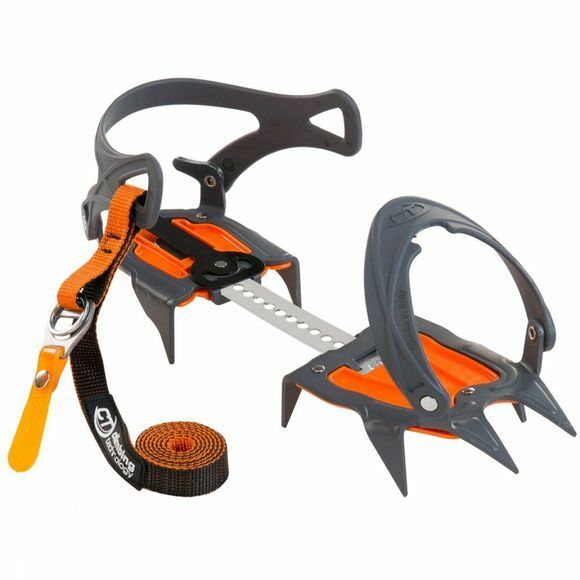 The Nevis Flex Crampon offers fantastic value for money, ideal for winter walkers and those progressing onto novice mountaineering. With the ability to fit a wide range of boots with the universal strap binding, flexible adjustment bar, 2 rapid adjustment size bars and heel cradle, these will ensure a secure fit and precise positioning onto your boots. The wide, shaped frontal points give you a better lift on harder snow, and four orthogonal retaining points grant stability while walking downhill. Including an anti-balling system stops snow clogging up your crampons, meaning less time clearing the bottom of your boots, and more time adventuring!